Check your bookmarks to be sure you are accessing the correct Legacy grants webpage and grants portal. Grants staff are now reviewing the 109 mid- and large-size grant pre-applications that were received by the August 2 deadline. Reviewer comments will be returned to the project directors at the beginning of September. Final applications are due back in the Grants Office by Friday September 27, 2013. The grant moved the Tour Saint Paul guides from a printed brochure to a web/mobile based format and ensures that they have a greater longevity and will allow incremental additions of content. The grant also helped fund the creation of new content necessary for the transition from the printed format to the multimedia website and mobile app. Visitors experience interactive tours engaging them to learn about Saint Paul history 'on location' and share their experiences with friends and family. Museum visitation estimates can be off the mark. Collect and preserve history as it happens. Is it time to redefine museum outreach to "families with children" when more families have adult children at home? The chautauqua is alive and well in Minnesota! Considering the many stories artifacts hold. New Minnesota Historical Society mascot debuts. Do we or don't we need more humanities majors? Read both sides of the debate and join the discussion online. The cold, hard truth about finding a job in public history. 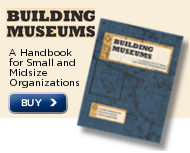 Defining "small" in the term "small museums." Check out a nifty new Minnesota literary map. Reiman Gardens, Iowa State University, Ames IA, seeks Program Assistant (Membership Coordinator). Deadline: August 15, 2013. Scott County Historical Society, Shakopee MN, seeks part-time, temporary Exhibits Assistant. Deadline: August 16, 2013. Sherburne History Center, Becker MN, seeks part-time Programs Coordinator. Wright County Historical Society, Buffalo MN, invites the public to join the 2nd Annual Wright County History Hunt, beginning Thursday August 8, 2013. Completed scavenger hunts must be received at the historical society by 4:30 p.m., Friday August 23, 2013. Contact WCHS, 763-682-7323, for more information. Northfield Historical Society, Northfield MN, invites the public to the 2013 Outlaw Run, a motorcycle tour of Southern Minnesota that explores the areas traveled by the James-Younger Gang prior to their attempted 1876 Northfield raid, Saturday August 10, 2013. Call 507-645-9268 for more information. Washington County Historical Society, Stillwater MN, invites the public to Hay Lake Day Celebration & Rummage Sale, Saturday August 10, 2013, noon-4 p.m. Call David Sandager, 651-433-4014, for more information. Stearns History Museum, St. Cloud MN, hosts Scott Thoma, who will discuss his book "Out of the Blue," about the first recorded F-5 tornado in Minnesota history, Wednesday August 14, 2013, 9 a.m. Call 320-253-8424 for more information. New Ulm Public Library, New Ulm MN, hosts historian John LaBatte, who will speak on "Accuracy-Balance-Respect and the U.S.-Dakota War of 1862," Thursday August 15, 2013, 6 p.m. Call 507-359-8334 for more information. Join Carlton County Historical Society, Cloquet MN, at the Carlton County Fair, Barnum MN, August 15-18, 2013. View historic Dairy Days movies and exhibits, and visit with costumed living history interpreters. Call 218-879-1938 for more information. Nicollet County Historical Society, St. Peter MN, hosts a Teddy Bear Picnic on the lawn of the historic Cox House, Saturday August 17, 2013, 11 a.m. to 1 p.m. Cost: $12 for one child with one adult. Additional child $8. Seating limited; reservations required. RSVP to Susan Carlin, 507-382-5162, by August 14, 2013. Several Brown County organizations are commemorating the 151st Anniversary of the U.S.-Dakota War of 1862 with events through the area, August 15-25, 2013. Full listing of programs available online. To confirm programs, call 507-233-2620 or 507-359-8334. Nicollet County Historical Society, St. Peter MN, invites the public to Fort Ridgely State Historic Site, Fairfax MN, for a talk by John LaBatte on the causes of the U.S.-Dakota War of 1862, August 17 and 18, 2013, 1 p.m. program; 2:30 p.m. battlefield tour. Call 507-426-7888 or 507-934-2160 for more information. Nicollet County Historical Society, St. Peter MN, hosts a free screening of "Dakota 38," August 18, 2013, 2 p.m., Treaty Site History Center. Call 507-934-2160 for more information. Historical and Cultural Society of Clay County, Moorhead MN, invites the public to a celebration of the DVD release of "The Hjemkomst: Thirty Years Later," Tuesday August 20, 2013, 5 p.m. at the Hjemkomst Center. Call 218-299-5511 for more information. Stearns History Museum, St. Cloud MN, hosts Representative Dean Urdahl, who will discuss his historical fiction novel "Conspiracy!," Monday August 26, 2013, 7 p.m. Call 320-253-8424 for more information. Minnesota African American Museum, Minneapolis MN, invites the public to join them in celebrating the 50th Anniversary of Dr. Martin Luther King, Jr.'s "I Have a Dream" speech, August 28, 2013, 2:30-5 p.m. Contact MAAM, 612-872-1655, for more information. Scott County Historical Society, Shakopee MN, invites the public to take part in an Amazing History Race during Jordan's Heimatfest, September 7, 2013 and New Prague's Dozinky Days, September 14, 2013. Contact Stephanie, 952-445-0378, for more information or to register. Lac qui Parle Historical Society, Madison MN, will hold a "Mystery at the Museum" dinner on Sunday September 22, 2013, 5:30 p.m. Call 320-598-7678 for more information or to register. Wisconsin Historical Society's 7th Annual Local History and Historic Preservation Conference will be held October 11-12, 2013 in Wisconsin Rapids. Register by August 16, 2013 to save $20 on registration. Iowa Museum Association will hold an Intern Job Fair, Sunday October 6, 2013, Sioux City Public Museum, Sioux City IA, 3:30-5:30 p.m. Contact Cynthia Sweet, 319-239-2236, for more information. Cokato Historical Society, Cokato MN, will be moving thousands of collections items from one off-site storage space to another. Should they hire professional movers, or rely on staff and volunteers for help? Any colleagues willing to provide feedback on their experiences? Contact Mike Worcester, 320-286-2427. Responsiveness to swiftly changing public needs and preferences created wildly popular "pop up" restaurants and retail offerings. Museums have flirted with the pop up model from Santa Cruz Museum of Art & History to the Pop Up Museum of Queer History to last year's "micro museum" of Minnesota politics on University Avenue. Pop ups represent a deeper experience than transitory traveling exhibits and museum outreach programming while remaining responsive to engaged audiences. American Swedish Institute, Minneapolis MN, as part of the Minnesota Landscape Arboretum's Urban Garden Youth Employment Program, created a Pop Up Garden to engage its rapidly diversifying community of neighbors. The garden represents another approach as this national trend takes shape in Minnesota. Augie's Secrets, by Neal Karlen.